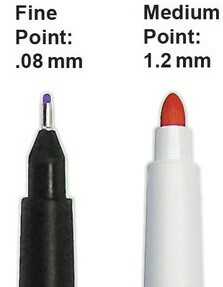 Permanent markers for light colored fabric. No heat setting required. Wash decorated items on gentle or dry clean. 2 different sizes available. Both in a bullut point.